Halloween isn’t just a time for kids to wear masks. 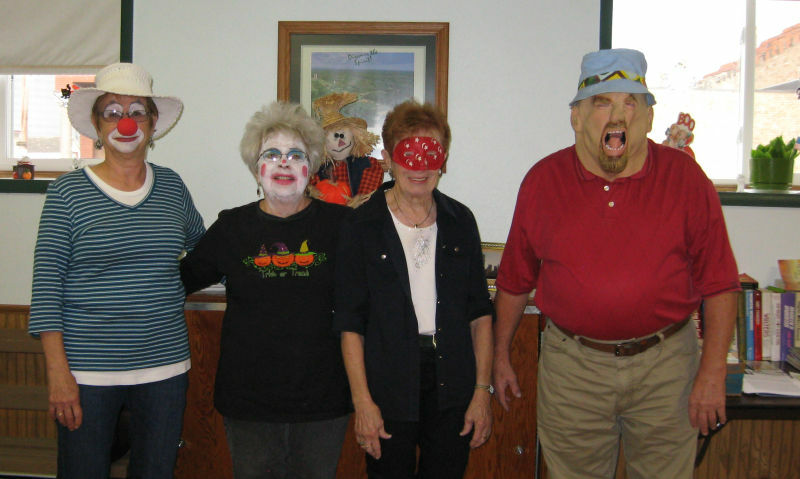 Friday evening was a time to show off a few “masks” at the Anamoose Senior Center. Pictured are Norma Martin, Phyllis Zimmerman, Alyce Heer and Stan Martin. Members enjoyed chili, bread sticks, and desserts, and finished off the evening playing cards and dominos.